Trim the top of your artichoke and rinse them. Then steam for 30 minutes or as directed. In a food processor, squeeze the juice of an orange, strawberries, chopped rosemary, coconut sugar, apple cider vinegar, olive oil, and a couple dashes each of salt and pepper. Pulse until smooth. 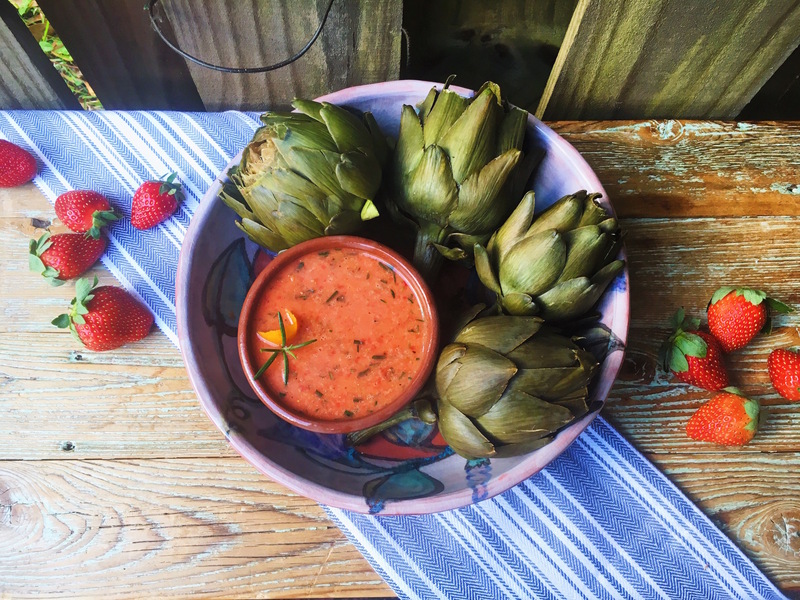 Serve the steamed artichokes with the orange strawberry dipping sauce!